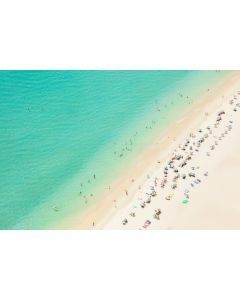 Shooting from a doorless helicopter, this series has been photographed around the world from the U.S. to Brazil to Australia. 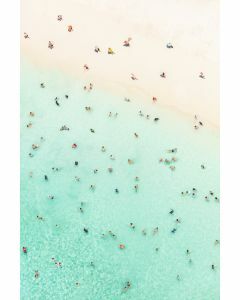 From above, a simple beach or pool becomes a blank canvas that allows Gray Malin to start seeing a world as art. People and objects become patterns creating repetition, shape and form. 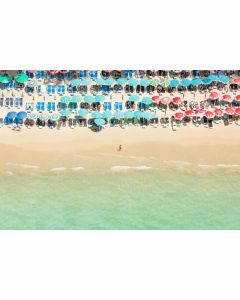 These photographs are a visual celebration of color, light, shape and summer bliss. 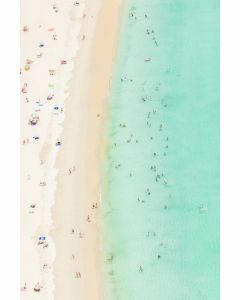 Each print is signed by the artist and printed on premium archival luster paper and is available in a variety sizes. The small measures – Image size: 11.5’’ x 17’’; Paper size: 13’’x 19’’. The medium measures – Image size: 24’’ x 36’’; Paper size: 32’’x 44’’. The large measures – Image size: 36’’ x 54’’; Paper size: 44’’x 62’’. This item comes with optional frame. Select your size and frame option in the drop down menu below. Please note this print is made to order and may not be returned. Click on image for greater detail.